WAVE is a luxurious, impressive form of hinge, where the fabric creates regular storage thanks to the special design of the guide riders. At fixed 80 mm spacing, a uniform hinge wave with a predetermined addition of the substance in a ratio of 1: 1.5, 1: 1.75, 1: 2, or generous 1: 2.25 is repeated. We offer three basic design designs designed for wall and ceiling mounting. 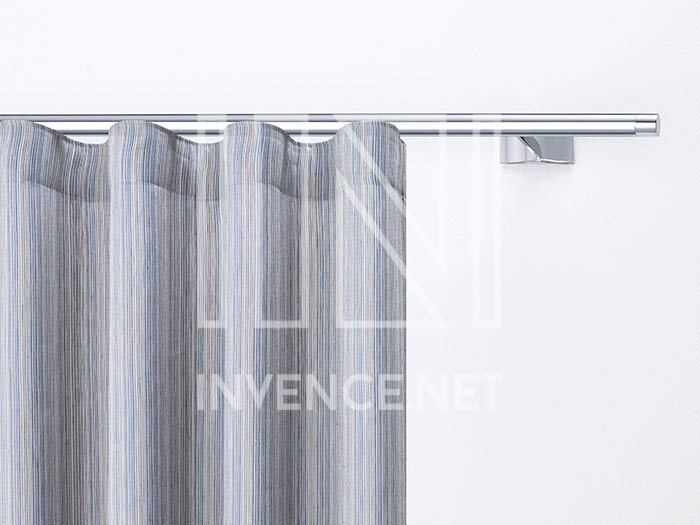 This type of Wave bar is characterized by an elegant curved upper profile, in which the regular curtain wave is mirrored (especially in chrome). The wall bracket is also slightly bent, emphasizing the clean design of the entire product. You can order it from stainless steel, aluminum or the already mentioned chrome finish. 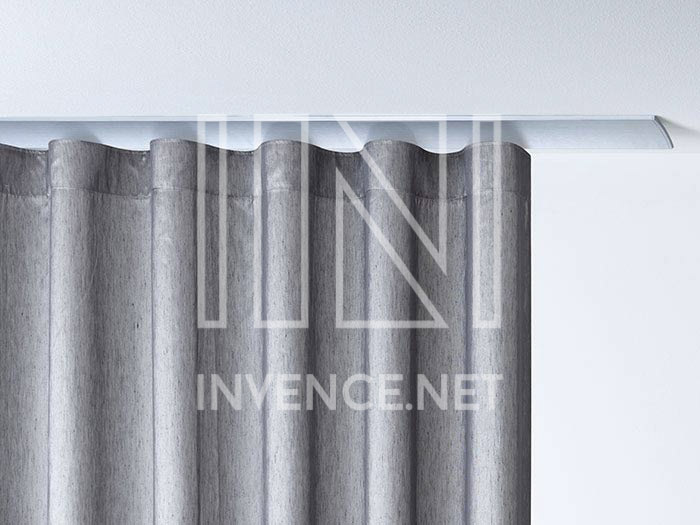 For the prices and delivery dates of our WAVE W1 curtains, please send us a non-binding inquiry or contact us directly. The Wave W2 is designed for ceiling mounting. As with the W1 model, the concave look cover on each side exceeds its own travel of 3 cm and so covers it even when viewed from the side. In addition to the above surfaces, you can also have a pure white. 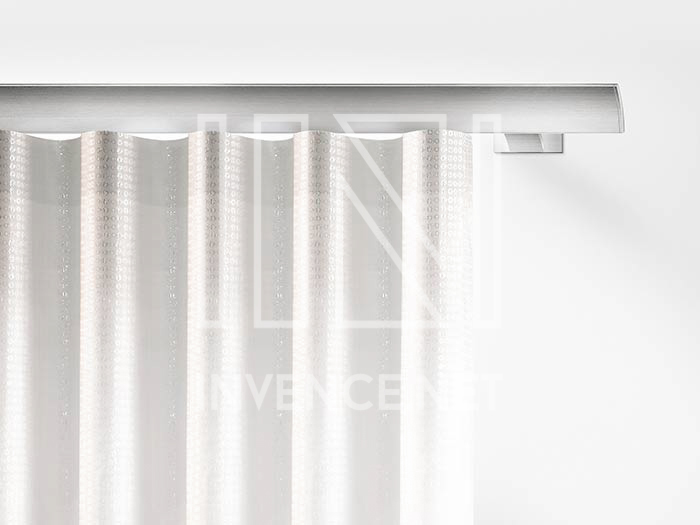 For the prices and delivery dates of our WAVE W2 curtains, please send us a non-binding inquiry or contact us directly. This minimalist profile look stays for simplicity. The rail guidance system is hidden in a 30mm diameter rod. The elegant wall mount underscores the extraordinary look. Of course, we can supply this system made of stainless steel, aluminum, white lacquered, chrome plated and also matt brass. For the prices and delivery dates of our WAVE W3 hangers please send us a non-binding inquiry or contact us directly. Assembly of Wave curtains is performed not only in Prague, but we also install and service shading equipment throughout the Czech Republic. Contact us with the price and dates request.